Daman Products is primarily engaged in the design and manufacture of hydraulic valve manifolds and related products. Founded by Mishawaka native Jack D. Davis, our company continues to thrive on the principles he set forth 30 years ago. In addition to remaining at the forefront of our industry by investing in new technology and new machinery, the focus remains on Daman’s valued employees and customers. Our PeopleDaman's solid training and retention program reflects our commitment to nurture employees in self-directed work teams. This shift requires company leaders to play supportive, rather than supervisory roles and allows the company to grow from within - with people who understand our history and culture. Our CompetenciesIn response to market demands, Daman has expanded our custom capabilities in the manifold market as a single-source, full-range manifold supplier with the recent addition of a high-precision horizontal machine center, one of only eight in the country. The new machining center required the redesign of two of the company’s four manufacturing cells and a realignment of product groups. It is a visible outgrowth of Daman’s commitment to bring our service and engineering expertise to the large manifold markets. Our CommunityDaman is host to local and national seminars, and company officials are frequent speakers at industry conferences, presenting the advanced manufacturing and marketing concepts that have proved successful for our company. We explain how our company has moved away from task-oriented activity and replaced it with a focus on people, effective processes, and helping customers be successful. The results are quality products and service leadership beyond our customers’ expectations and a thriving environment in which to work. Our SuccessDaman Products was recognized as an Inc. Magazine Top 5,000 Fastest-growing private companies, a Growth 100 company in 1998, 1999 and 2004, in addition to being named St. Joseph County Small Business of the Year 2004. Larry Davis, president, was named Indiana Small Business Person of the Year in 2005. Daman’s corporate values of truth, honesty, trust, fairness, respect and courage are cited as foundations for these accolades. Learn more about Daman's awards and achievements. Modineer Company: a personal story in every respect. Paul Dreher started Modern Engineering Products (later Modineer) in 1940 with a sound plan and simple philosophy: listen to the customer, respond quickly, and focus on quality. From a modest garage, he built his business this way and later passed it and the philosophy that guided him on to his son. Today the 3rd generation is at the helm. Modineer is now the largest employer in their region and supplying metal components to some of America’s best known companies. Still, the philosophy and family culture remain. Hire gifted people with expertise in their field. Provide them with the machinery, tools, and training required to produce superior results. Segment the manufacturing into self-contained business units by discipline and industry. This enables the high volume automotive team to develop a unique culture from the lower volume/high mix culture of the commercial business unit doing complex fabrication. Employ lean manufacturing principles and strive for continuous improvement from processes and people. Apply stringent quality systems company-wide. Modineer has achieved TS16949-2002 and Q1 (Ford standard) an independent quality standard assuring customers of the commitment to quality in every part delivered. 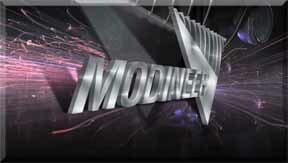 The success of Modineer rests on the performance of their quality people. This has been true for more than seventy years. It will certainly be true for you.